The usual minor congestion is in place at 8:25 a.m. on westbound I-94 from Hiawatha Avenue to the Lowry Hill Tunnel. Speeds dip a bit on northbound I-35W from 50th Street to Lake Street, but certainly a managable drive. Even the work zone on I-35 southbound in Forest Lake is moving quite well considering the freeway is down to two lanes from Hwy. 8 to Hwy. 97. 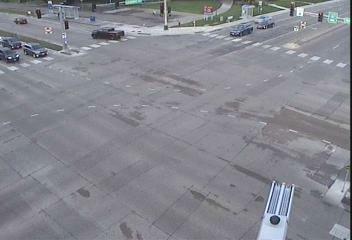 Roads around the State Fair are moving just fine. A pocket of slow traffic on Como Avenue is about the only hang up near the fairgrounds. Here's a look at the interesection of Snelling and Larpenteur avenues.